The On Demand Water Heater Is One Of The Most Popular Replacements For The Tank Type Water Heaters. The installation of an on demand water heater can be very effective in the longer run. This is because they spontaneously provide hot water with no stand-by heat loss for hot water retention. Theses heaters are better known as tankless water heaters. The tankless is designed in a way that they occupy minimum energy to produce a maximum output. It has been estimated that the life span of this type of water heating system is twice as much as the conventional ones. Having such an efficient and long lasting product, this type of water heater makes it worth the upfront installation cost. They also take up a lot less space than conventional tank heaters and are perfect for large families. These water heaters can provide you with an endless amount of water whenever needed. The worries of water running out in conventional tank type models can be avoided with the installation of tankless water heaters. Another issue with tank type models is the lack of proper water flushing system. The water preserved in the tank has to be used within a day or two or else it will cause an unpleasant smell. The money saving feature of the tankless water heating system is the reason they are widely preferred in households. It is also supported by the governments in many countries. In a recent estimate by the US Department of Energy, the on-demand gas heaters are capable of saving $108 in a year which is more than twice of the electric heaters. However, the main reason the households prefer the installation of the tankless water heater, is the preservation of space and power. Tankless heaters come as a treat to the small apartment owners. Why? Because it allows them to have endless hot water without having to bear a hefty tank. The other perks of an on demand water heater include the cost-effectiveness in the form of low utility bills. The standby mode on the conventional heaters utilizes a considerable amount of energy. Tankless water heating systems do not have any such requirement. You just have to turn the faucet on, and warm water will be available instantly. Additionally, it also saves you from spending tons of money on plumbing and utility bills. The tank water heaters are usually high maintenance. And plumbers can be expensive. Tankless water heating systems are usually a once-off expense. And, if not abused, the tankless can last more than twice as long as a conventional water heater. Most of the people go for the tank water heaters because they think the on demand water heater requires a higher upfront payment for installation. Going tankless to meet hot water requirements might seem like an unnecessary investment, but it ultimately pays off in the form of reduced utility bills. The cost-effectiveness is the not the only facet that makes an on demand water heater a smart investment. These water heaters require minimal maintenance work and are estimated to last much longer than the traditional tank heaters. The tankless units are built to last a lifetime, and they usually bear a warranty. Thus, the comparison between the tankless water heater and the conventional tank heaters clear the point that the former one is much efficient and capable of saving much more energy than the latter. The only thing that can make a house owner go for the tank type model is the price difference and installation cost. However, the experts view this investment as an initial payment for a lifelong benefit. The on demand water heater has proven to be extremely outstanding in meeting the demands of a house for hot water. Thus they have been highly recommended by the consumers. 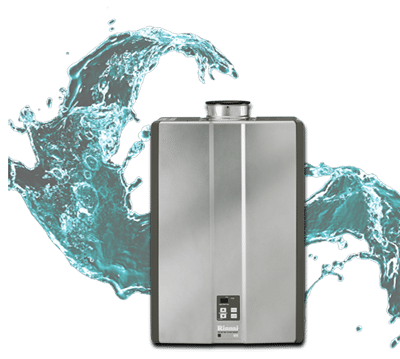 So if you are thinking about remodeling your house or constructing a new one, this tankless water heater might be one of the most important products to consider. Tankless water heating systems are extremely convenient and low maintenance. The require very little up-keep and rarely need repairs. Alternatively, the the conventional tank heating system is high maintenance and usually requires frequent repairs. When choosing your water heating system, consider the long-term benefits. Tankless water heaters heat up the water instantly and you will never run out of hot water. These heating systems are perfect for large households and hotels, where the demand for hot water is higher. You don’t want to end up with cold water in the middle of your shower. There’s types of water heaters are especially great for winter, when you need a hot shower to chase away the chill.